Irish folk musician, noted for playing the mandolin and cittern, but also plays acoustic and electric guitar, mandola, five-string banjo and concertina. He is also a singer and songwriter. 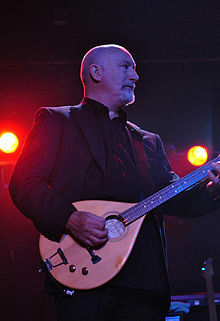 He is known for his membership in such folk and folk-rock groups as The Pogues, Steeleye Span, Sweeney's Men, The Bucks, Dr. Strangely Strange and Dublin rock band Orphanage, with Phil Lynott, as well as in a duo/band with his then wife, Gay.